Putting Zion National Park on your bucket list is a no-brainer. This iconic national park puts Southern Utah on the map as a must-do travel destination. But look closely at that map and you’ll see Zion is only a small piece of it. Surrounding the national park is an entire landscape of mountains and canyons, deserts and forests, rocks and water, just begging to be explored. By all means, go to Zion National Park, but if you only go there you’ll be missing out on these unique adventures to be had nearby. On a hot day, dive into clear water among red rocks at Sand Hollow Reservoir. This beautiful lake has many coves and hideaways along its shore and trails that go around it, so you can seek your perfect swimming hole. The state park also offers watercraft rentals, and its campground makes a convenient base for exploring more of the region near Zion. Find a desert oasis that you would never expect at Toquerville Falls, where a natural creek tumbles over a series of waterfalls that land in picturesque pools. The sandstone ledges that surround are practically designed for lounging, sunning, and jumping. Located on public land, the falls are free to visit but require a long drive on a 4WD road. The ghost town of Grafton has been partially restored to give visitors an understanding of what it was like for the original settlers. Just outside of the national park in Rockville, Utah, you’ll find the nearly forgotten remains of this canyon’s original town. 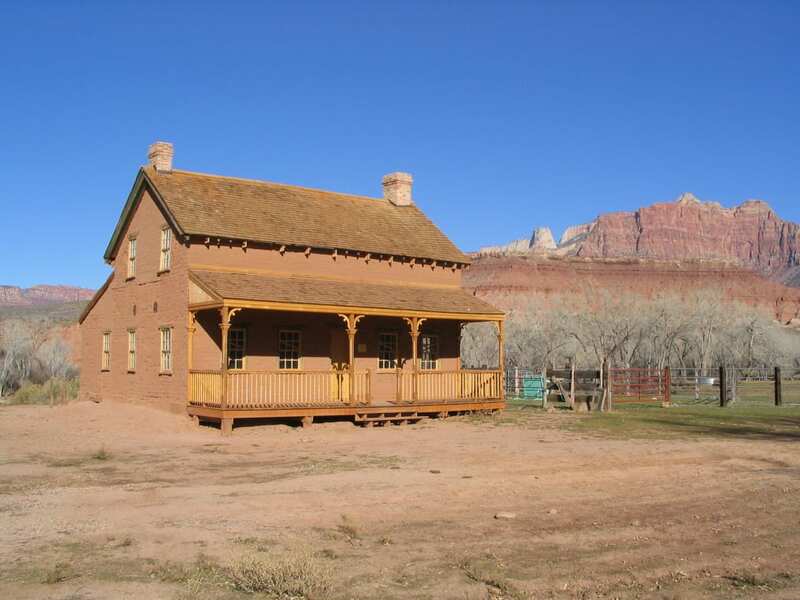 Grafton was a small farming community long before the rest of the nation had discovered the glory of Zion National Park, and people here lived off the land in obscurity. A historical society has restored many of the buildings and now you can walk among them to imagine living in the past of this quiet valley. Just outside St. George lies the geological candyland of Snow Canyon State Park, where layers of cliffs stack and fold over one another in the colors of Neapolitan ice cream. There are, of course, great hiking, biking, and camping options in the state park, but rock climbers will find it a special treat. Bolted routes of various length and difficulty scale the colored walls. Just outside of Kanab, Utah, the Coral Pink Sand Dunes feature a truly unique landscape. To witness more of the spectrum the desert has to offer, head to the Coral Pink Sand Dunes near Kanab. 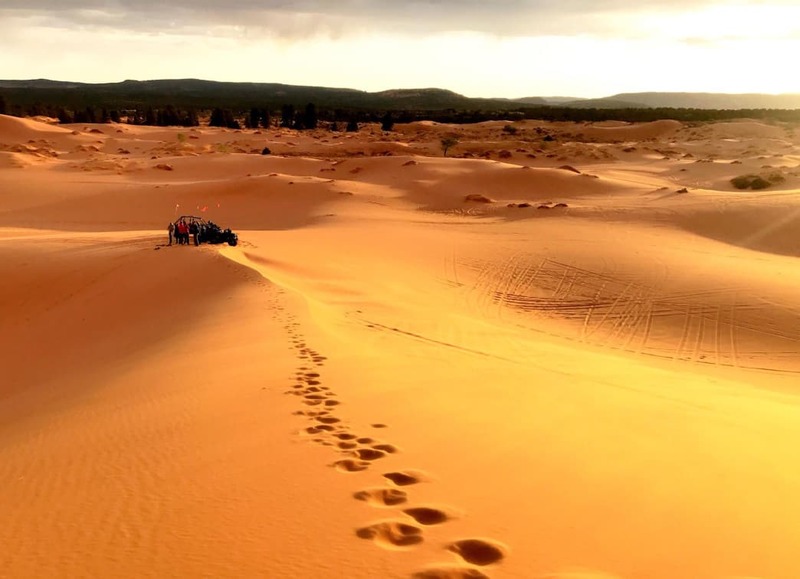 Here, tall sand hills build up with accumulated fragments of the desert’s red rocks, You can hike or drive on the sparkling red slopes, camp out under the stars, and feel like a kid in an enormous sandbox. Hiking through narrow canyons, with trickling water at your feet and rock towering overhead, is one of the main reasons to visit Zion. Similar sights can be found outside of the national park as well, however. One example is Water Canyon outside Hildale. Here you can wander for miles among contorted passageways and proud corridors of stone. You will wonder why this gem is not just as popular as The Narrows in Zion, but as public land outside the park, this canyon stays well under the radar of most travelers. There is much more to the expanse of mountains and canyons in Southern Utah than what’s inside Zion National Park. Much of the rest remains off the beaten path and tougher to access, but a little determination can land you in remote solitude. Dixie National Forest contains much of this lightly traveled landscape, where it’s easy to find a camp spot of your own on a cool night under a million stars. The national forest lies both to the west of I-15 and east of Cedar City, surrounding Cedar Breaks, at a reasonable and very worthwhile travel distance from Zion National Park. 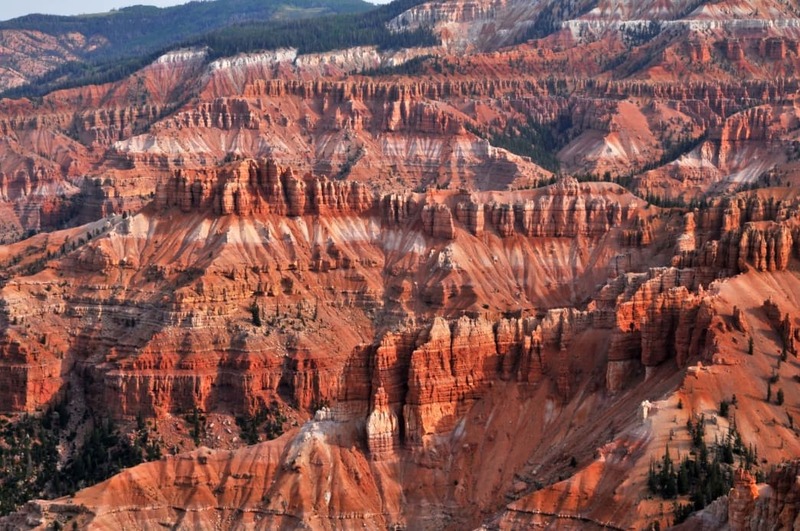 At Cedar Breaks, you’ll find a giant amphitheater of multicolored hoodoos that oversee a forested valley far below. Crowning the tiered landscape that is Utah’s Grand Staircase, Cedar Breaks is a high-elevation retreat above the desert and a spectacular scene of rock formations. Here, with cool temperatures year-round, bristlecone pine trees thrive. While the trees grow stunted and contorted, they are some of Earth’s oldest living organisms, some thousands of years old. At Cedar Breaks they grow on the rim of a giant amphitheater of multicolored hoodoos that spills away to a forested valley far below. This smaller park in the vicinity of Zion and Bryce Canyon is often overlooked, but well worth the trip. Just outside of Springdale, you can hike to an impressive vantage of Zion Canyon not found by those who enter the national park. This is from the Eagle Crags, an outcrop of tall rock spires on a hillside opposite the mouth of Zion Canyon and the park entrance. Get there via dirt road from Rockville, then by hiking a few miles up through the desert. Enjoy broad views all along the way, but they get better and better as you climb. From the upper viewpoint you will also see more canyons opening to the east and a lovely lake framed beneath them. Another elevated adventure near Zion’s south entrance is Gooseberry Mesa, where a web of trails weaves through wild slickrock atop a plateau. They are open to hiking but are best for mountain biking. A variety of distance and difficulty allow all skill levels to enjoy this unique terrain. The weatherworn sandstone makes rolling hills, bowls, and scoops, and sheer cliffs on all sides of the mesa deal thrilling rim rides with huge views. Zion National Park may be name that draws people to southwest Utah, but if you take a little time to explore beyond the boundaries, you’ll find a lot more to love. Take a few steps away from the crowds and you’ll find a unique—and often solitary—experience that you’ll never forget. Written by Jesse Weber for RootsRated Media in partnership with ZionNationalPark.com.